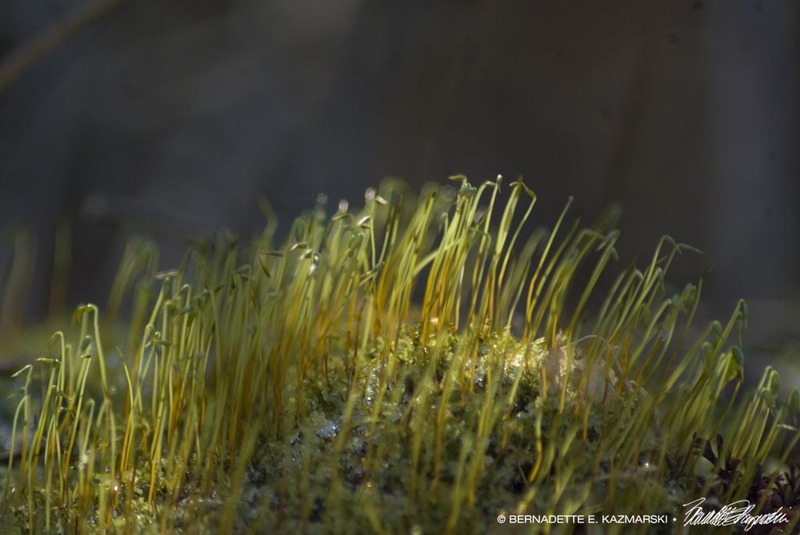 Meanwhile, off in the woods, mosses are sprouting on a fallen log despite a heavy frost leaving ice between the sprouts. I took a little detour into the woods this morning. Expect more woodsy photos coming up.